Backing a first-time filmmaker is an act of faith. You can read their script, watch their short films (if they have them), you can hear their pitch. But you have to believe in their ability to manage a set, to protect and execute their vision, to not self-destruct. I believed in Gerard McMurray. And he delivered a great film. BURNING SANDS is a powerful story that needed to be told. It is also a launch pad for a great new generation of actors. Meanwhile, Gerard has already shot his second film. He’s well on his way. I also got to work with some great producers, some old friends, some new: Stephanie Allain, Jason Berman and Mel Jones. This was my fourth year producing the NAACP Image Awards. When I first did the show, celebrities didn’t want to attend. They felt it was badly run. That it was unfair. I had to beg people on the phone to show up. Now the show is so popular we need to move to a bigger theater. We now have the biggest stars in Hollywood in attendance, we have studio and network heads as well! I’m very proud of the growth of the show and excited for this year’s production. MARSHALL is nominated for 8 awards, so I might finally win one. Maybe. I’ve been nominated for many years in many categories, so I’m keeping expectations low. This year I travelled all over the country in support of my new film MARSHALL. One of the nicest stops was in my home town of East St. Louis to receive an award from the local NAACP. I got to see my brother, my last surviving (and amazing) uncles, and a bunch of my cool cousins at the ceremony. 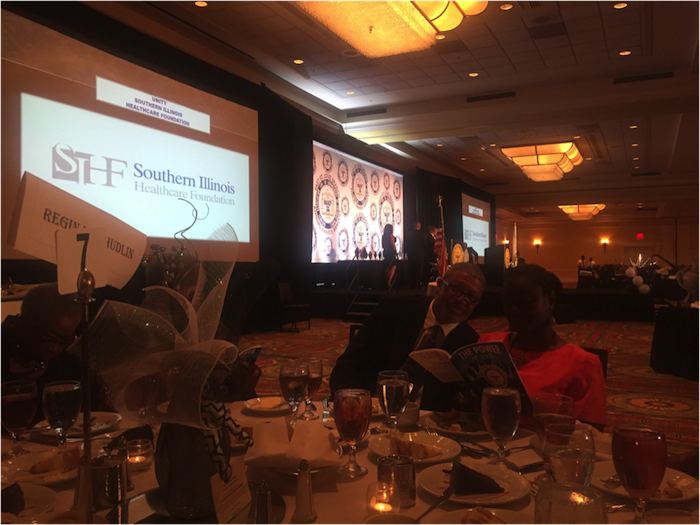 My brother Christopher at the Hudlin table for the NAACP Event. I also got a tour of my home town, which is a breeding ground of amazing stories I can’t wait to tell one day. 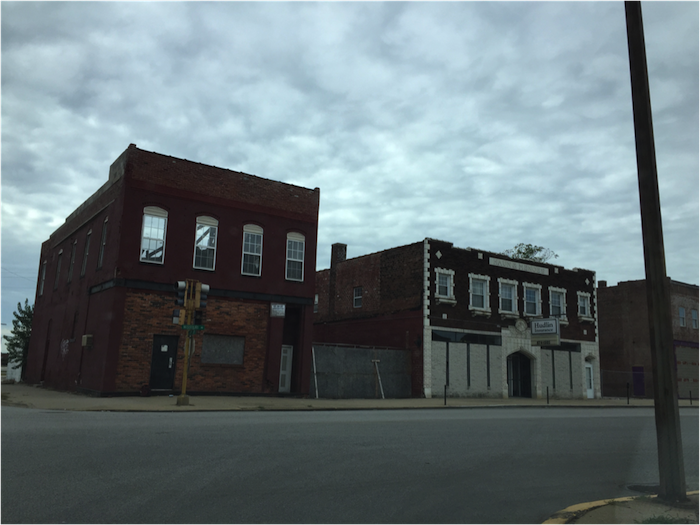 Part of downtown East St. Louis. 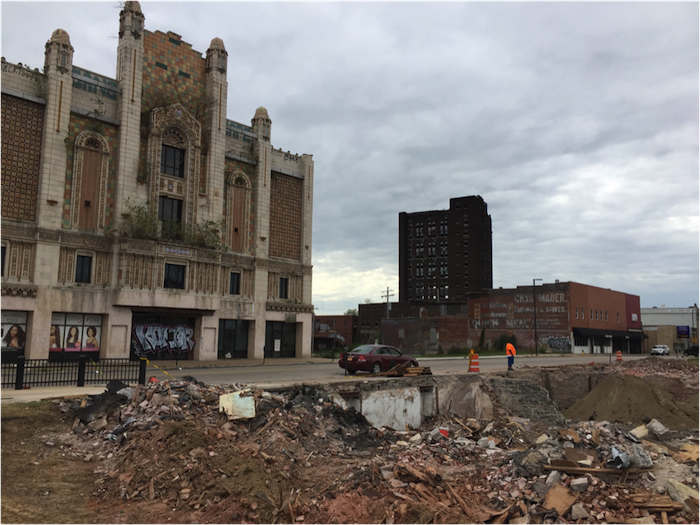 The Majestic Theater is landmarked, but no one can afford to renovate it. Hudlin Insurance is also downtown. The building next door has no roof but won’t sell…the owner says it’s a convertible. 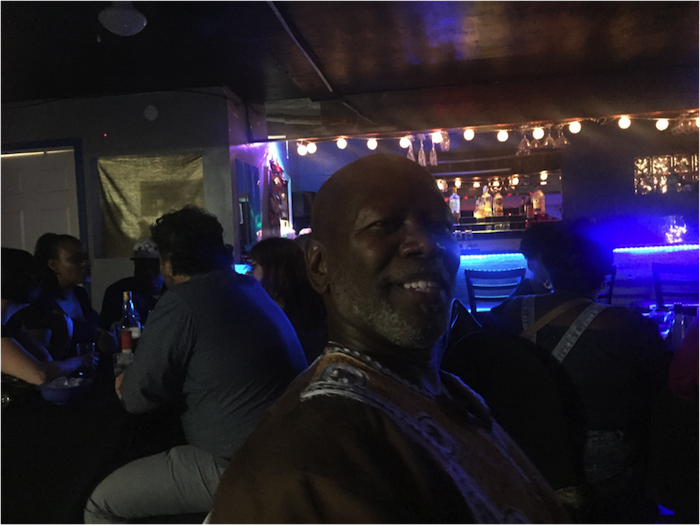 I ended up in a bar owned by Doc Ellis, one of the coolest guys from my high school, and I met up with a bunch of folks from my childhood. Man, it was one of the highlights of the year for me. 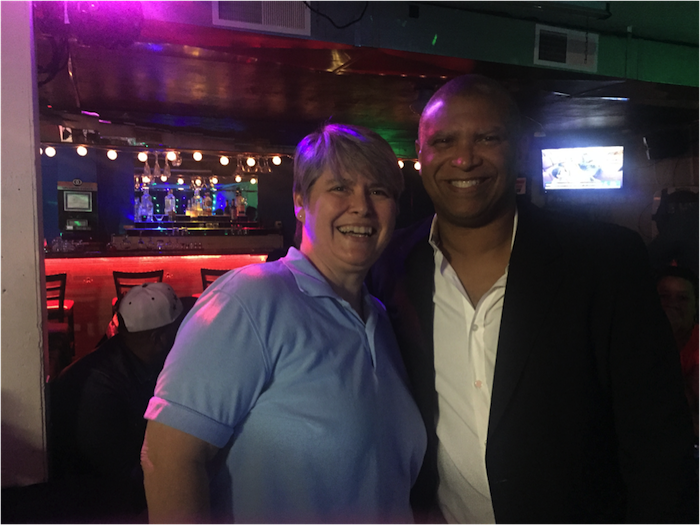 My buddy Edgar “Doc” Ellis. It’s his place, and the vibe is right. Me and Elaine Laws. We were Model UN and theater nerds together in high school. She’s still teaching kids in the area. Doing the good work. 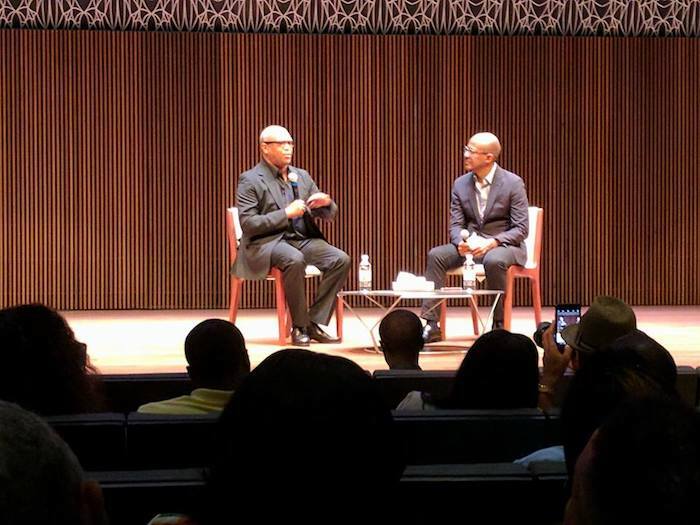 I had a conflicting event that weekend in the Hamptons, and politically that would have been the move, but I committed to the St. Louis event first and man it sure felt nourishing to my soul to be home. 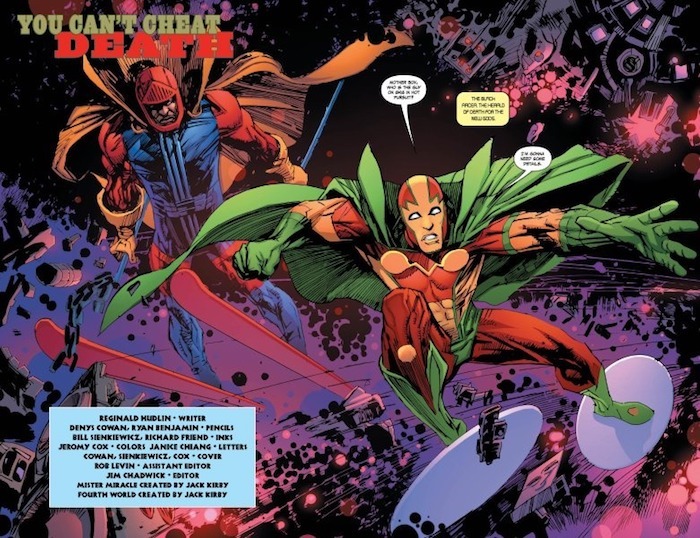 After a meeting at DC about Milestone, Denys Cowan and I were standing in Jim Chadwick’s office when Jim mentioned DC was doing a series of tributes to the great Jack Kirby. Denys quickly said we would do one. Hearing this for the first time, I had to come up with a story. 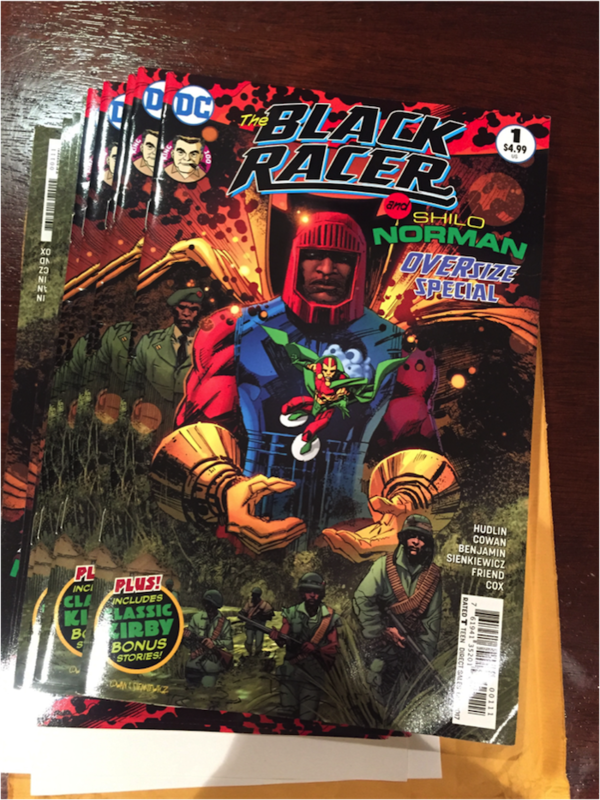 So I said the Black Racer vs. Mr. Miracle. 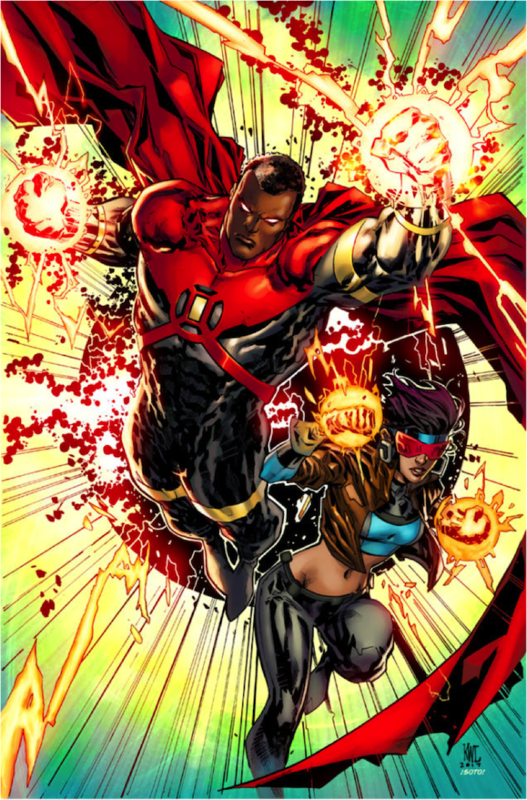 I had no idea what that meant, except it was two of Jack’s Fourth World characters, both black, and as far as I knew they had never been in a story together. They also seemed perfect together, since one escaped death and the other was death. The resulting comic garnered some of the best reviews I’ve ever gotten in that medium. Nice. 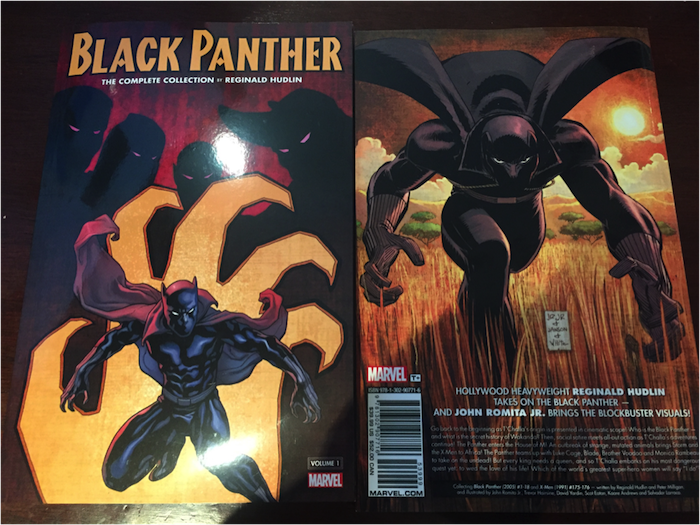 Also this year Marvel published part one of the collected writing of Reginald Hudlin on The Black Panther. Also nice. We’re all proud of our darlings, but graduating from 6th grade isn’t in itself a big deal. But it is a moment to take stock of who your child is becoming, and see how the grand experiment is turning out. 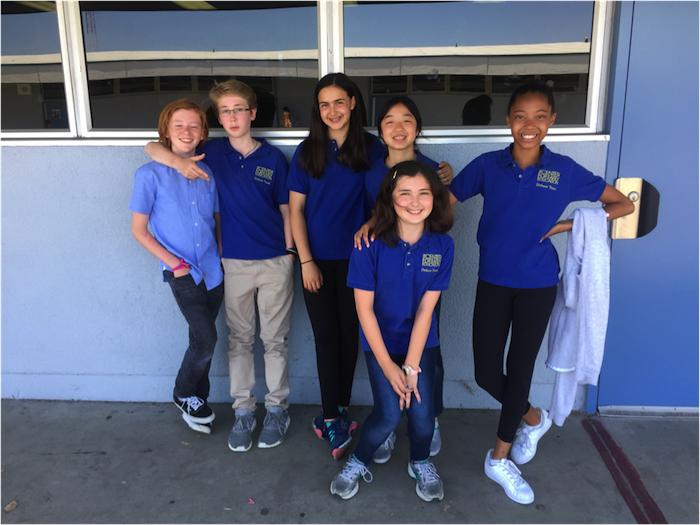 She had a great year as a debate champion and continues passion at her new school! Hello. 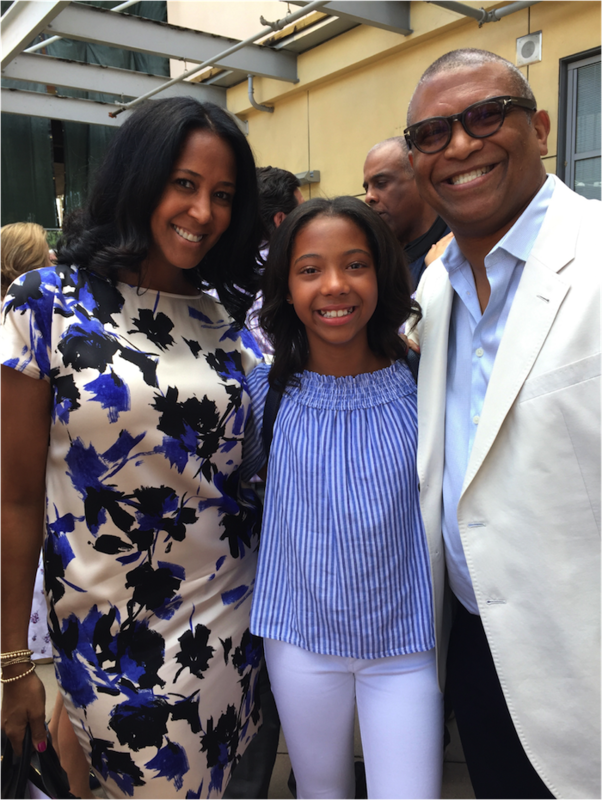 Daddy and I (Mommy and I) are so very proud to stand here with you today. In just 12 short years (although probably long for you, since you’ve only been around for 12 years) you have managed to impress us so Helena. You came into the world with eyes open and bright as can be. Your alertness and your smile penetrated the world and you’ve continued to be a love and a grace that is beyond your years and beyond our imagination quite frankly. We can hardly imagine the incredible life you must have lived before God blessed us with you, but we are quite sure you will tear this one up! You have great perseverance, combined with a grace, an elegance and an intelligence that is unique. Your heart is so wide with love and emotion and we love being your parents. As you share your thoughts and your ambition sure understand that you see life in a meaningful way. You come from a family of great achievement, and are named for your two incredible grandmothers. Helen Cason Hudin and Jacqueline Grace Jenoure. Women of purpose. Women of intent. Women who defied the odds for their time. One from the Midwest, one from the Carribean, both daughters of education, carrying doctorate degrees in education. 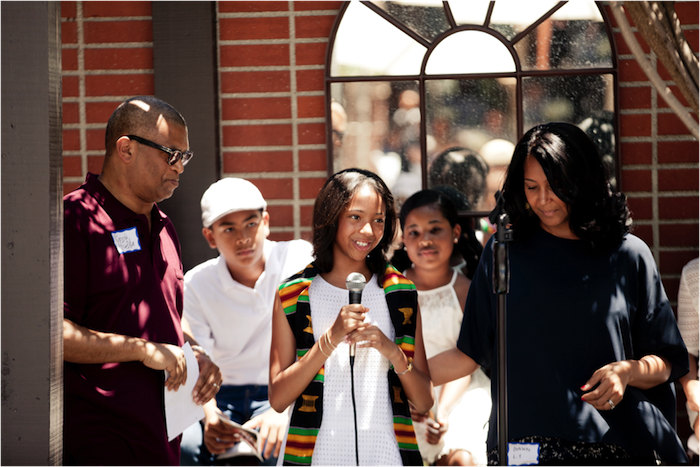 This celebration today means a lot to us, because from the day we toured The Center we knew this blended community would be an incredible environment for you and our family to be part of. We feel so lucky for you, and for us, for the past ten years. It truly has not disappointed, as you have enjoyed and benefitted from every second of the experience. When teacher Pat told us how you luxuriated in your lunches of edamame and graham crackers…. You are surrounded here by a group of families here who believe in you, who cheer for you and who cherish your every being. It has been an honor for us to educate you and raise you in this environment. As you stand on the shoulders of our ancestors, we beam with pride. You carry a torch that includes working hard for Marcus Garvey, helping to facilitate the Underground Railroad, professors of Harvard, Yale and Amherst and so much more. Your black pride and the path that prevails will be glorious because we know, as your parents, that you love and embrace every fiber of your body, your heritage and your future. Marlborough is lucky to have you and we are so lucky to be your parents. We love you Helena. Congratulations on all of your achievement! Go get it! Her brother Alexander had a great year as well. He continues to be an excellent student at school, and excelled at his first trip to camp this year. 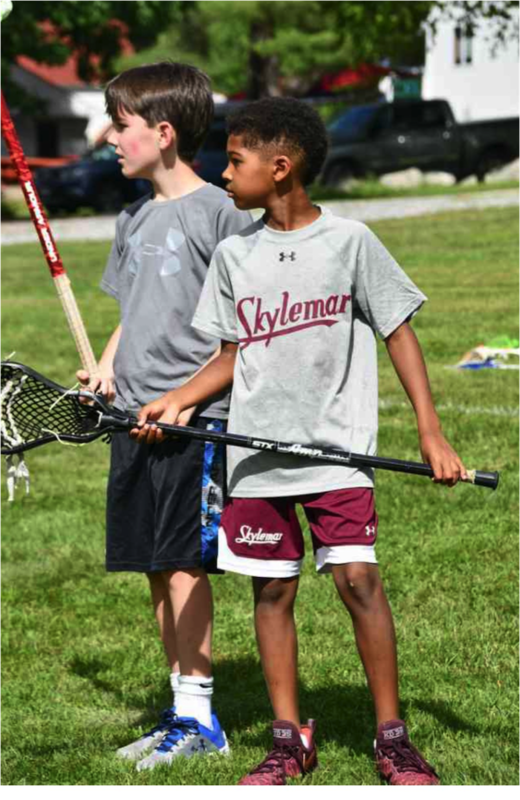 In addition to hoops, golf, baseball and swimming, he learned lacrosse and waterskiing and loves them too! 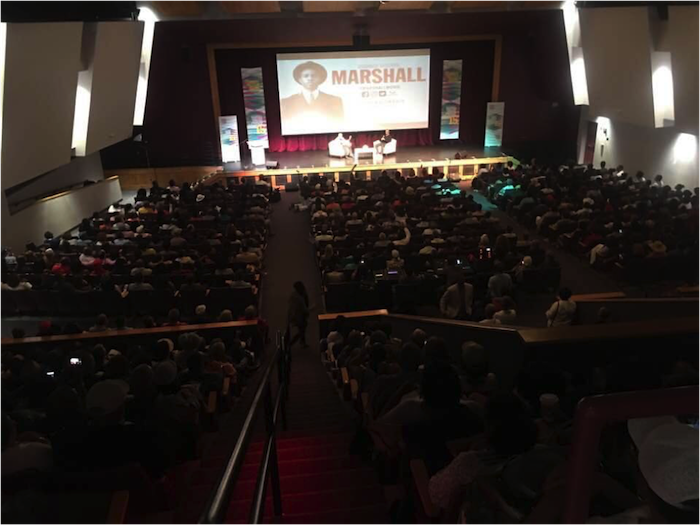 The Martha’s Vineyard screening of MARSHALL was huge. My first big crowd of over 900 people. I couldn’t stay in there and watch a movie I’ve seen a zillion times, so I left and made phone calls to the West Coast. When the film ended, I walked in the room and there was a standing ovation and a wave of human emotion that hit me in the chest when I stood on the stage. I didn’t think anything could top that experience until I had a private screening with 200 of the most impressive people I know. 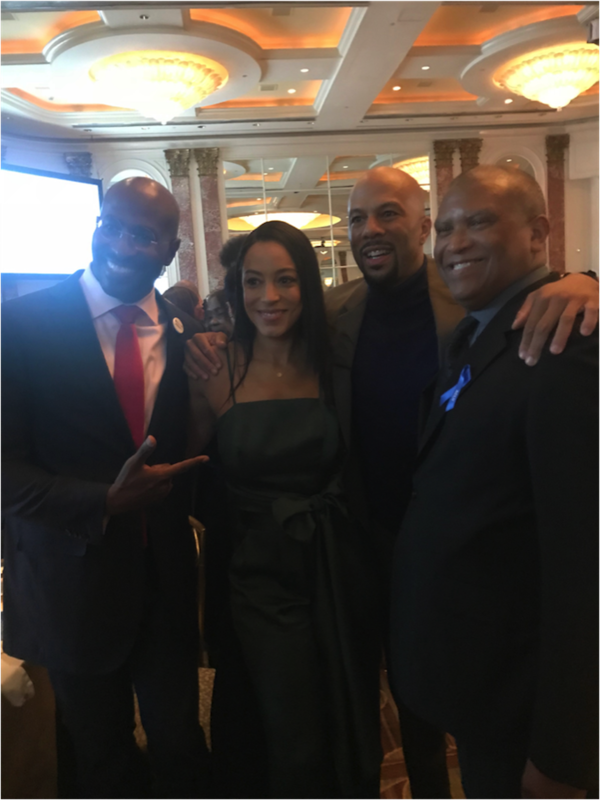 They are from different industries…..award winning entertainment giants, titans in technology, political players from the White House and beyond. It was another standing ovation, followed by hugs, tears and compliments from people who inspired my career. A truly amazing week. 25 years later, it still plays great! 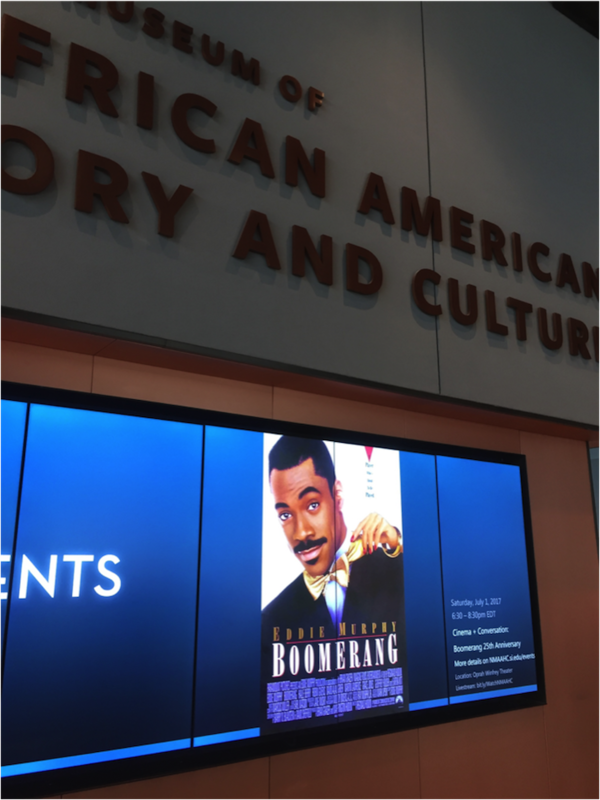 I also finally got to visit the Smithsonian African American Museum under the best circumstance…the museum hosted the 25th anniversary screening of BOOMERANG! 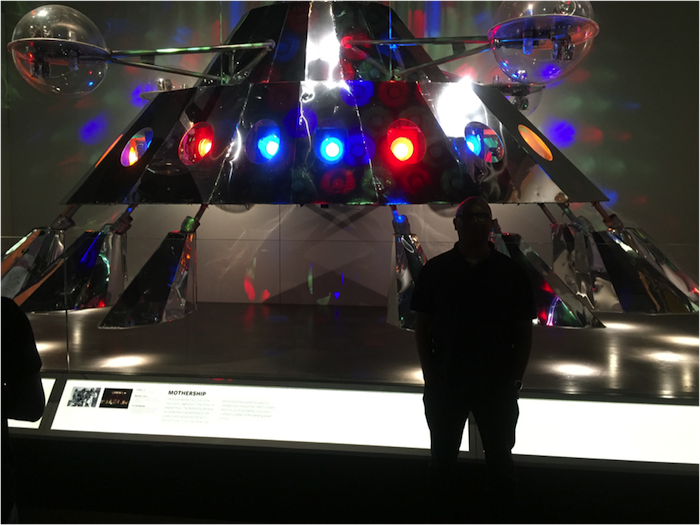 This is me in front of the Mothership. I know it’s dark, but all that matters is that I got a shot in front of the Holy Mothership! I’m grateful for every award I get. Even knowing the politics behind who gets them and why, and relative cheapness or elegance of the award or the organization, it still means someone gives a damn about me and my work. It’s been a long road since Derek and Denys approached me about joining them in the reforming of Milestone Media. Which made the joy of announcing some of the amazing artists and writers who will be working on the books all the sweeter. Kyle Baker! Ken Lashley! Greg Pak! Jim Lee! Alice Randall! Denys Cowan! And more to be named! The press went crazy over it and it’s just the beginning! 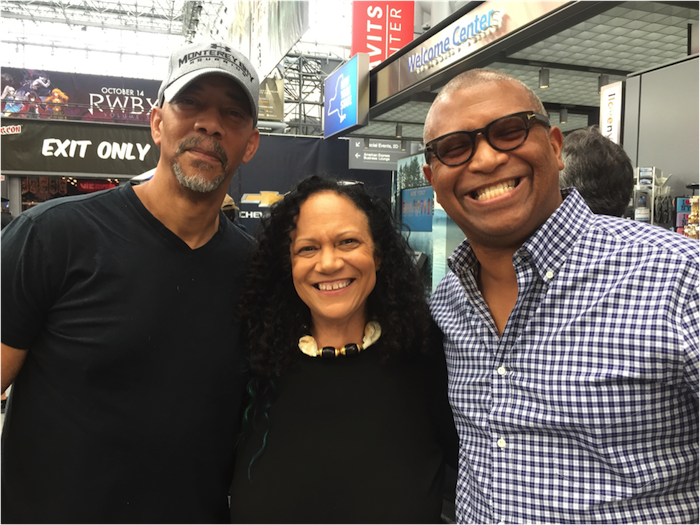 Denys Cowan, Alice Randall and Reggie Hudlin outside the New York Comic Con 2017. 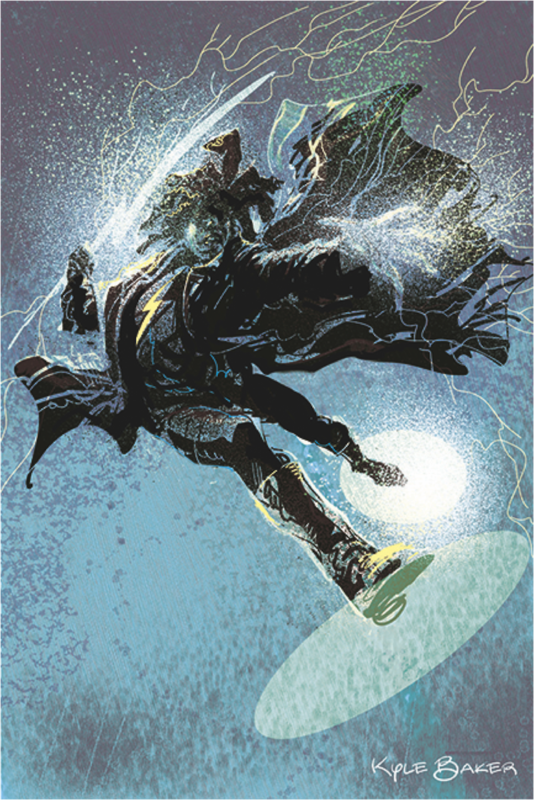 Static Shock by Kyle Baker! 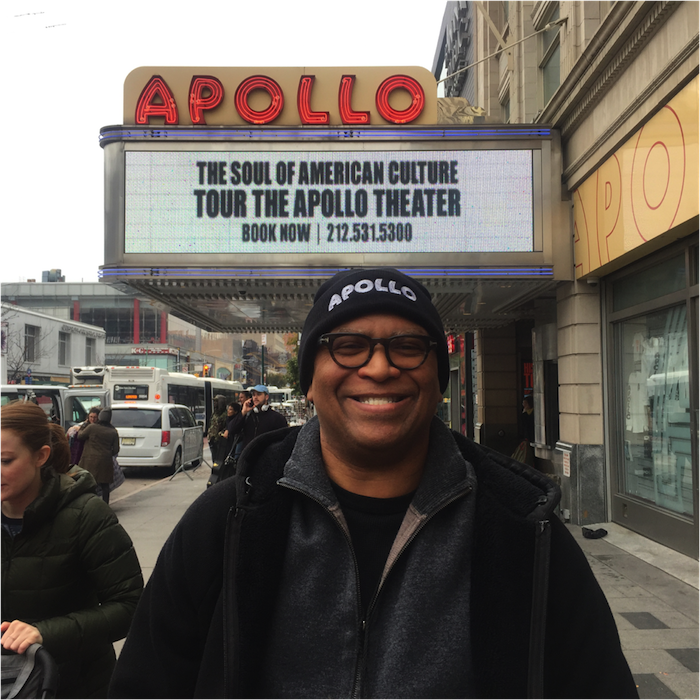 I’ve been involved in a lot of revival of black institutions, from BET, NAACP Image Awards, The Black Panther, Milestone Media to the public profile of Thurgood Marshall, and now, Showtime at the Apollo, the beloved show and the competition that inspired all other talent shows. We did a couple of specials last year, then went into production on the series. We’ve added a lot more elements and we think the show is really strong. We knew people liked the movie from our focus group testing in the 90s. Then our Rotten Tomatoes Score in the 90s. 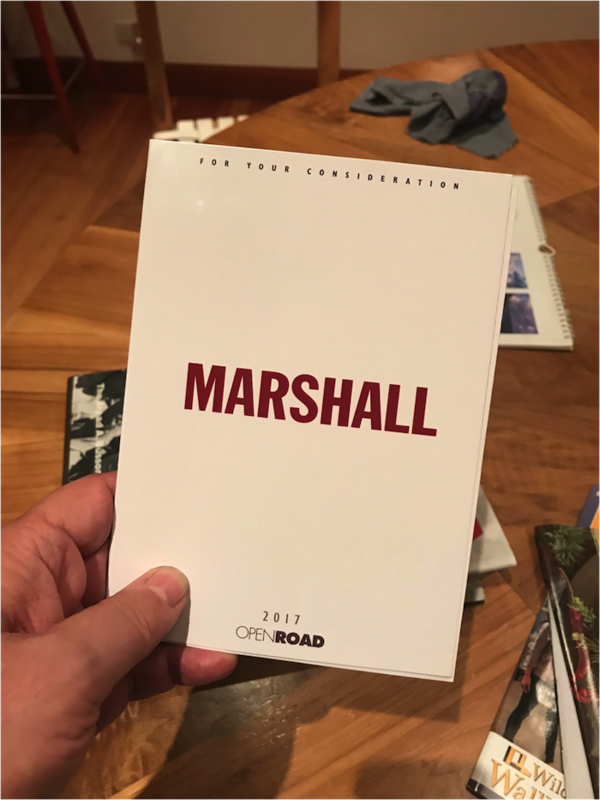 So far, MARSHALL has won the Audience Award at the Chicago Film Festival. 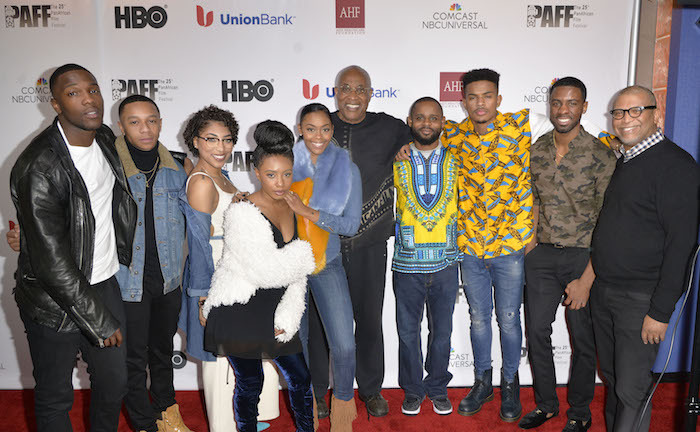 We’ve been named one of the best films of the year by The New Yorker, The African American Film Critics Association, and been nominated for 2 Grammys, 8 NAACP Image Awards, and ABFF Honors. But the best part of it has been building a bond with the cast and crew that will last long beyond this film. That, and connecting with the Marshall and Friedman families. Those things, and hearing the moving testimonies of viewers of all ages, races, creeds and backgrounds who have been touched by the film. All that, yeah!